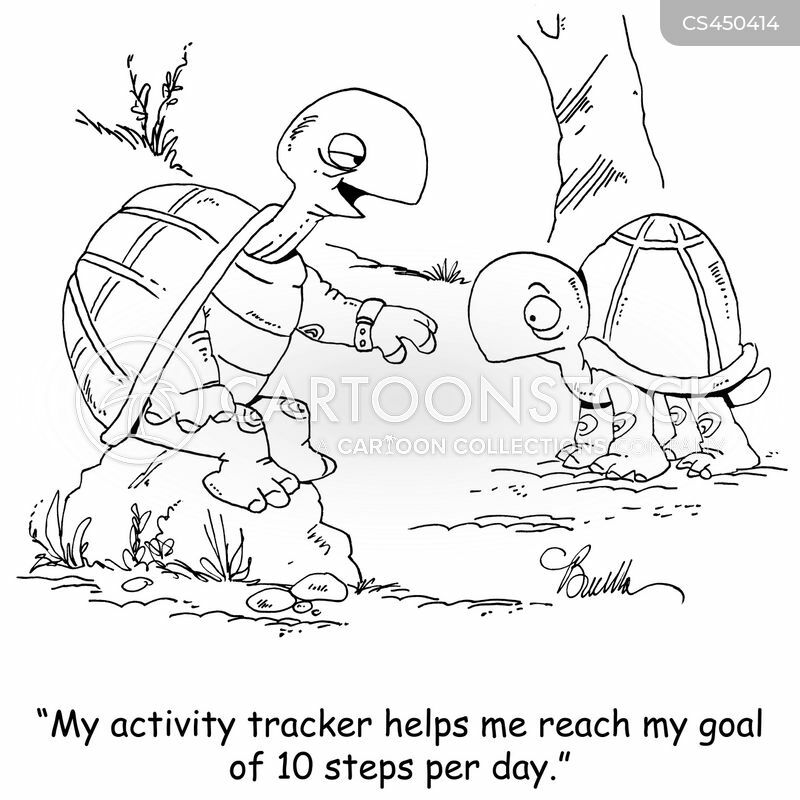 "My activity tracker helps me reach my goal of 10 steps per day." 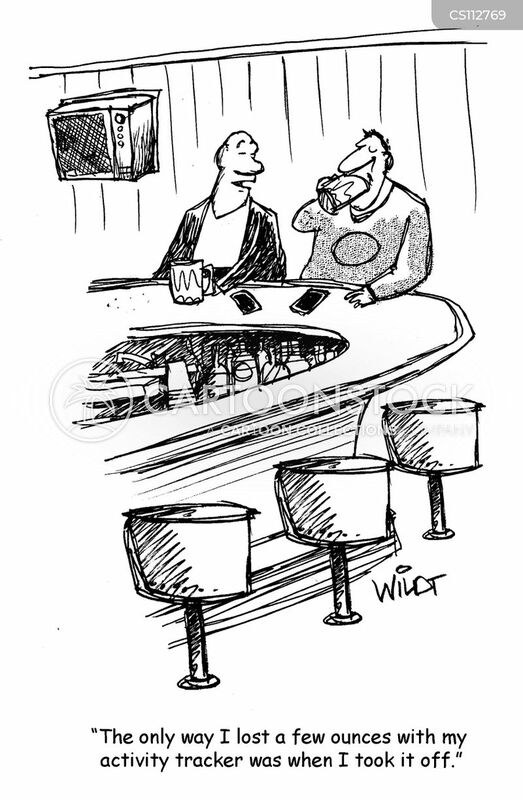 "Here's the problem. 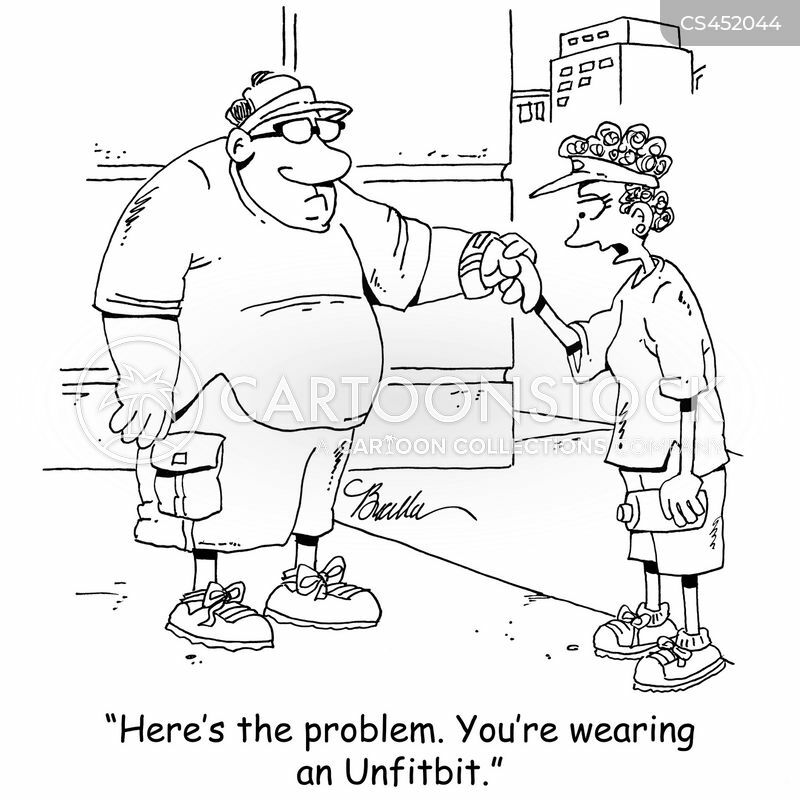 You're wearing an Unfitbit." 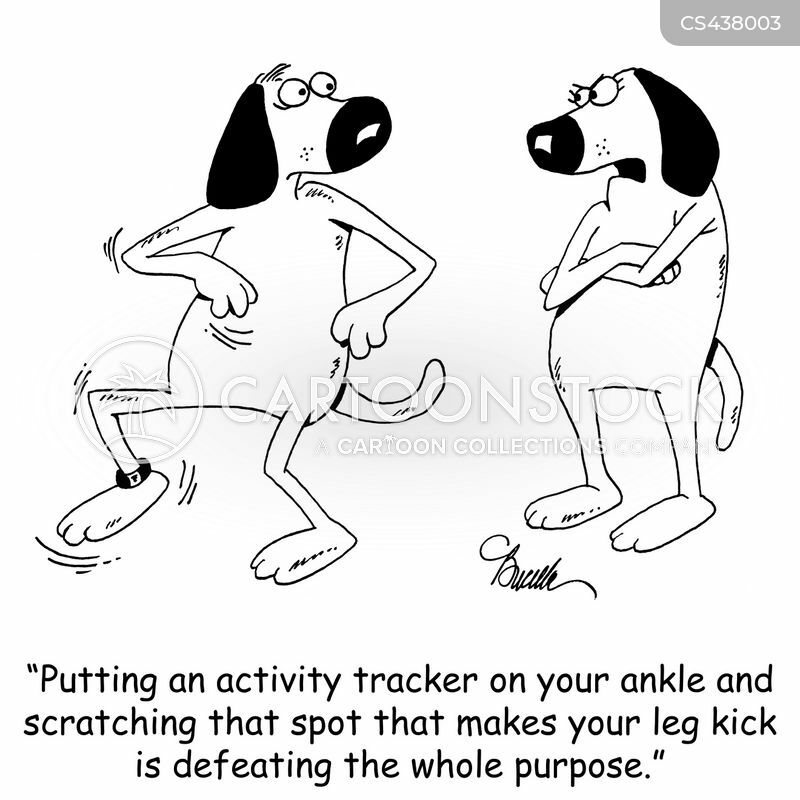 "Putting an activity tracker on your ankle and then scratching that spot that makes your leg kick is defeating the whole purpose." 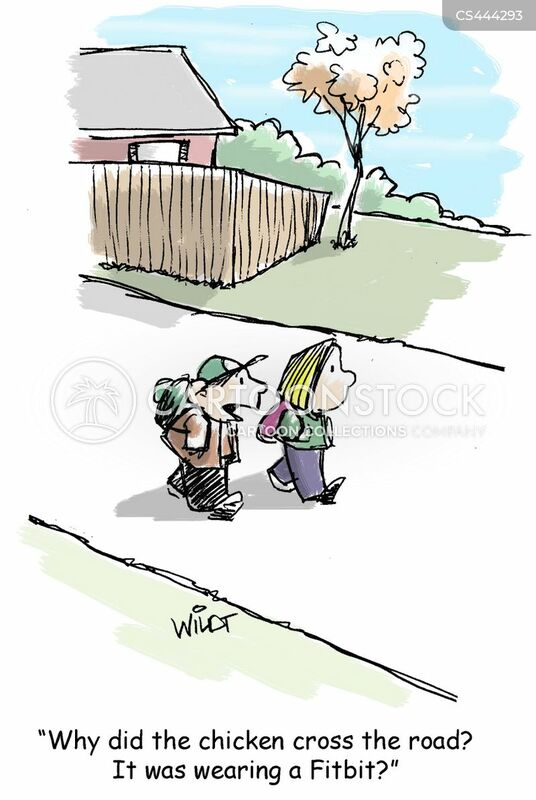 "I just walked a mile in your shoes. 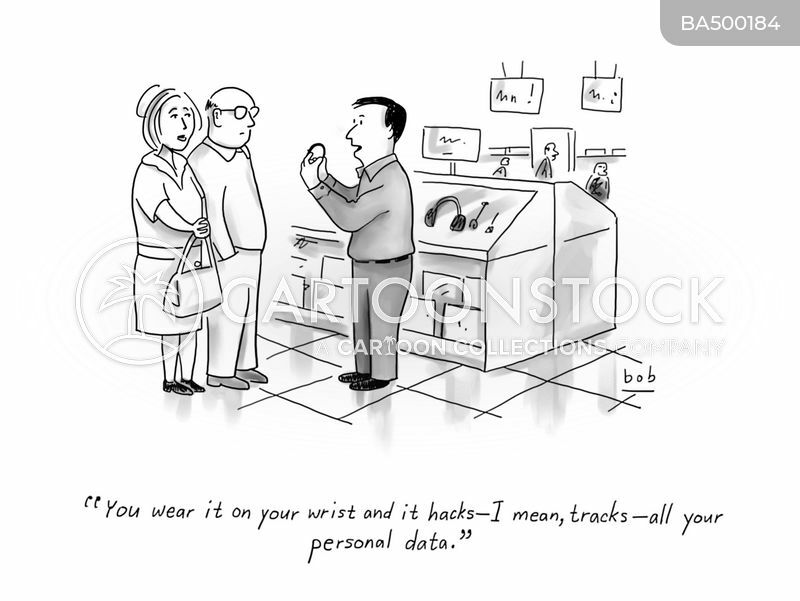 I hacked your activity trackers." "I have to rest. 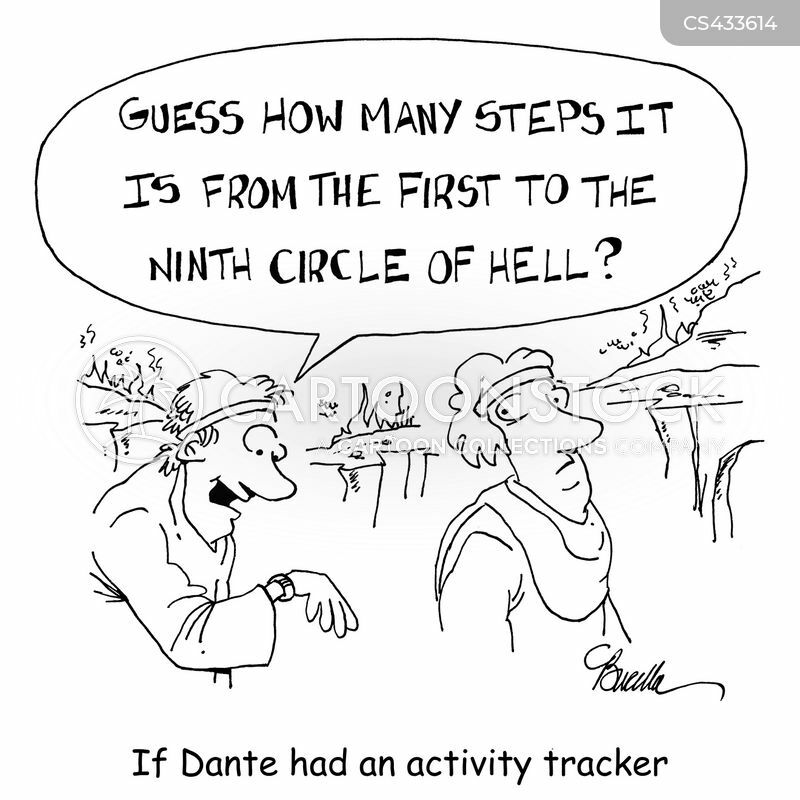 The 'check engine' light on my activity tracker just came on." 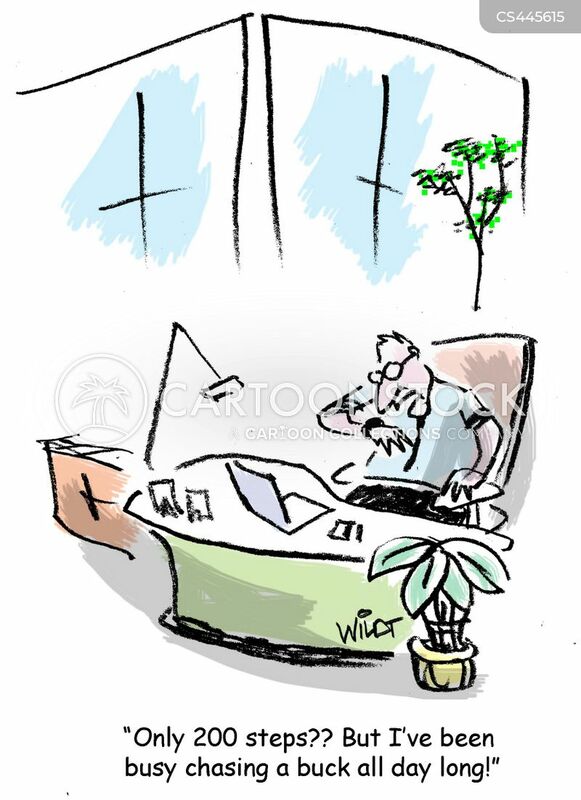 "Only 200 steps? 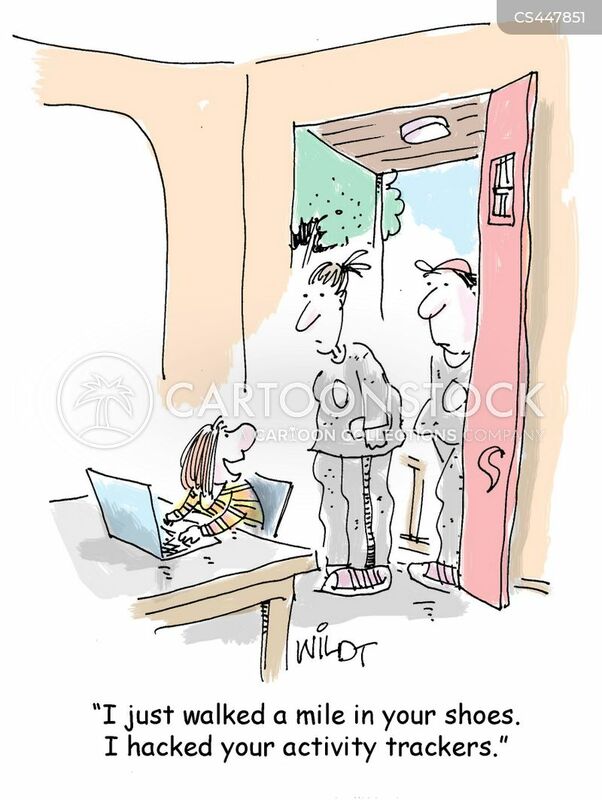 But I've been chasing a buck all day long!" 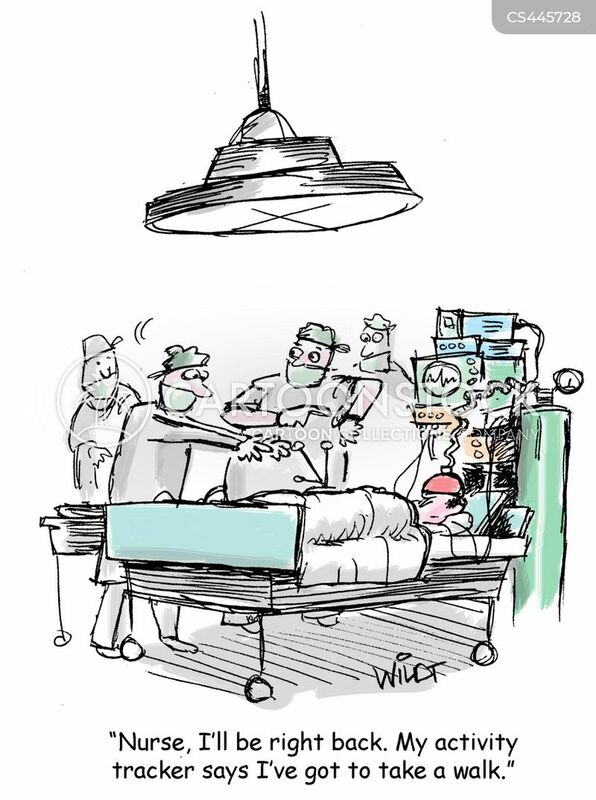 "Nurse, I'll be right back. 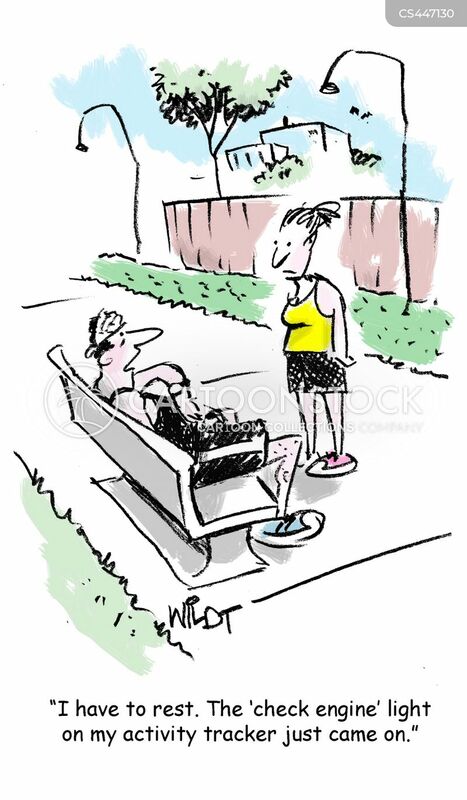 My activity tracker says I've got to take a walk." "Why did the chicken cross the road? 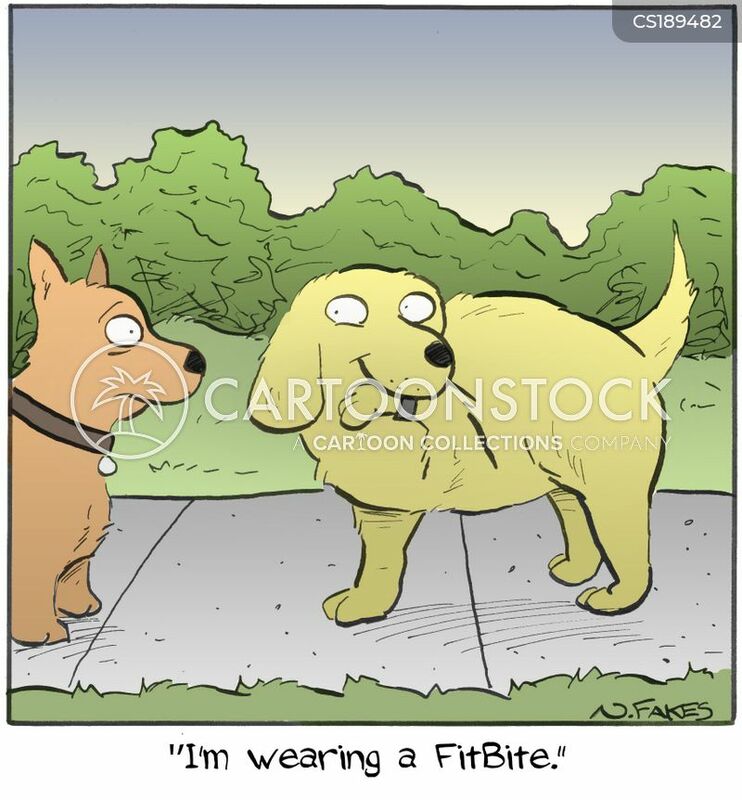 It was wearing a Fitbit?" 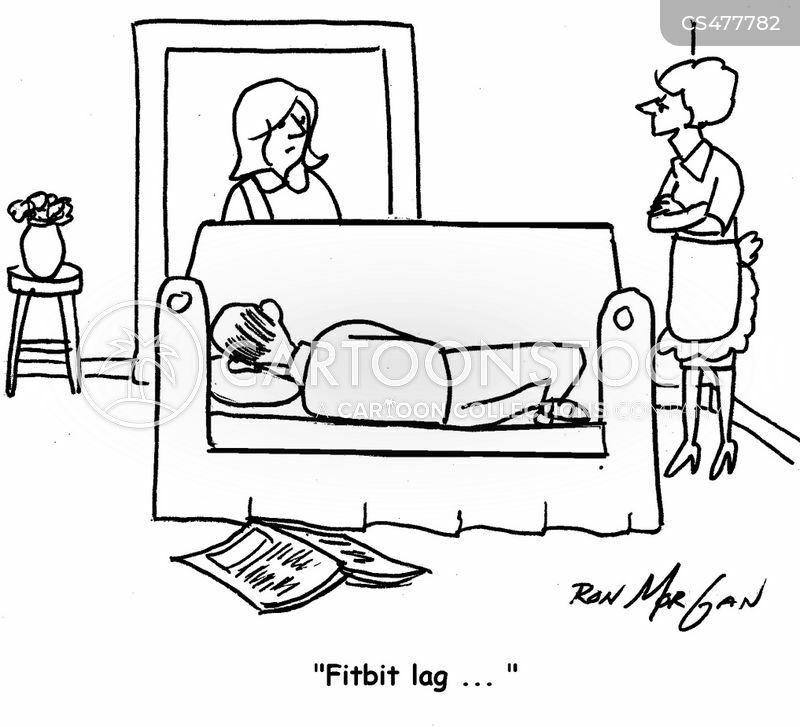 "The only way I lost a few ounces with my activity tracker was when I took it off." 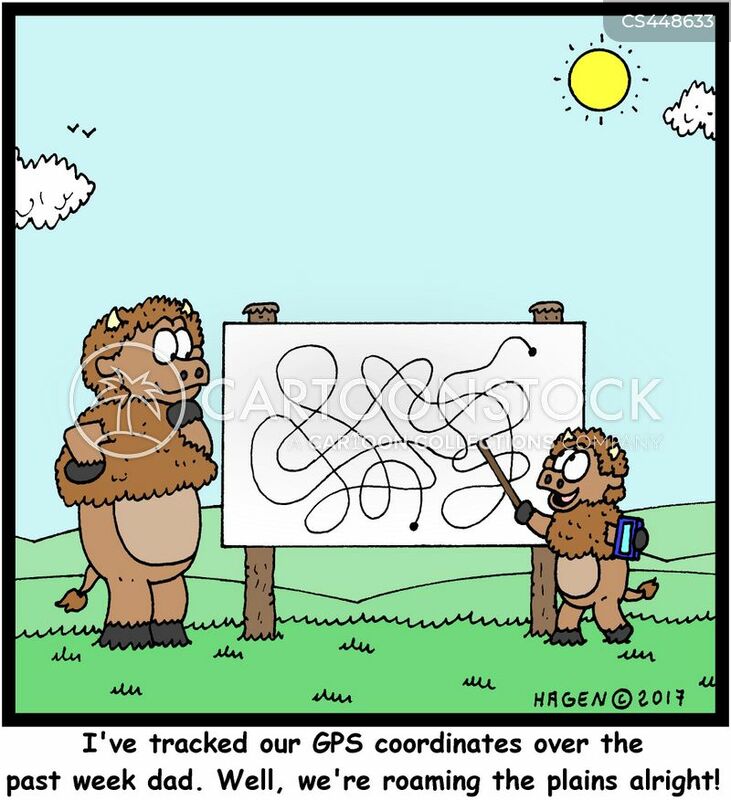 "I've tracked our GPS coordinates over the past week dad. Well, we're roaming the plains alright!" 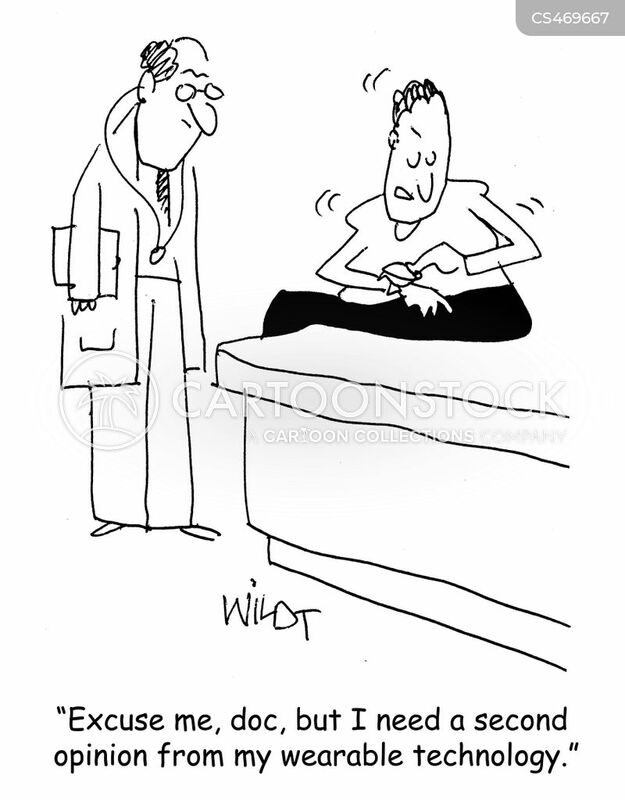 "Excuse me, doc, but I need a second opinion from my wearable technology." 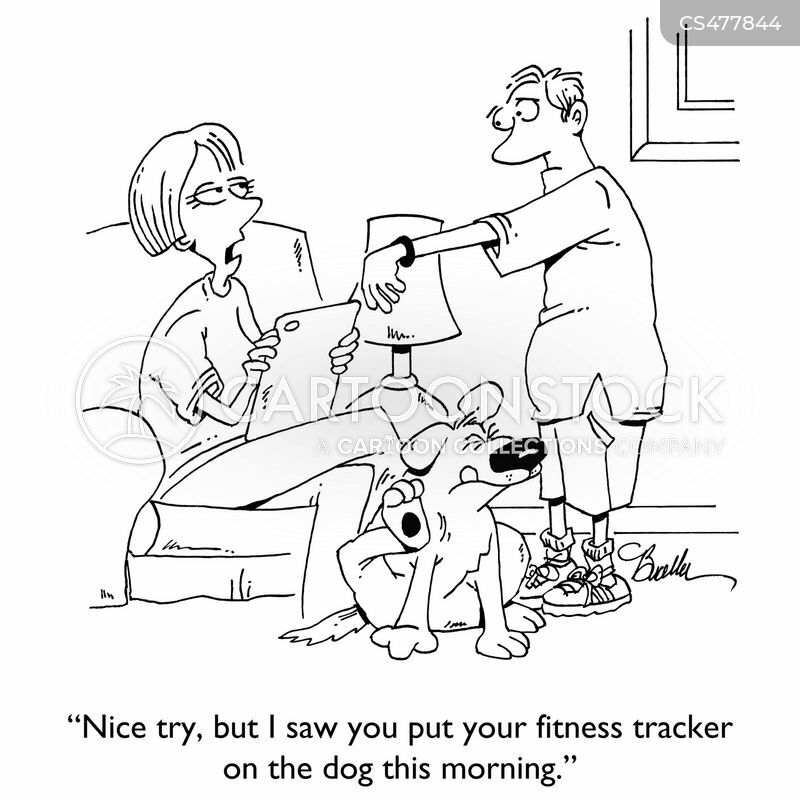 "Nice try, but I saw you put your fitness tracker on the dog this morning." 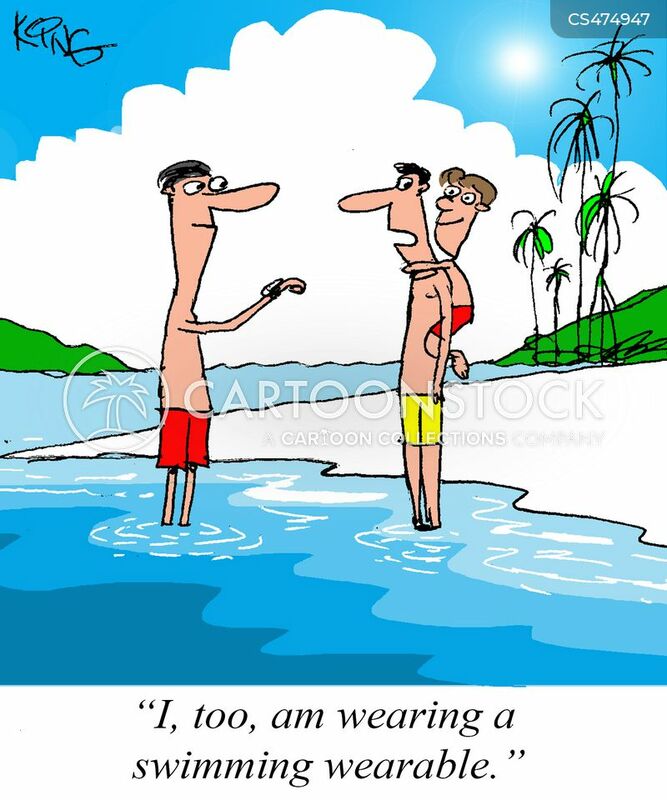 "I, too, am wearing a swimming wearable." 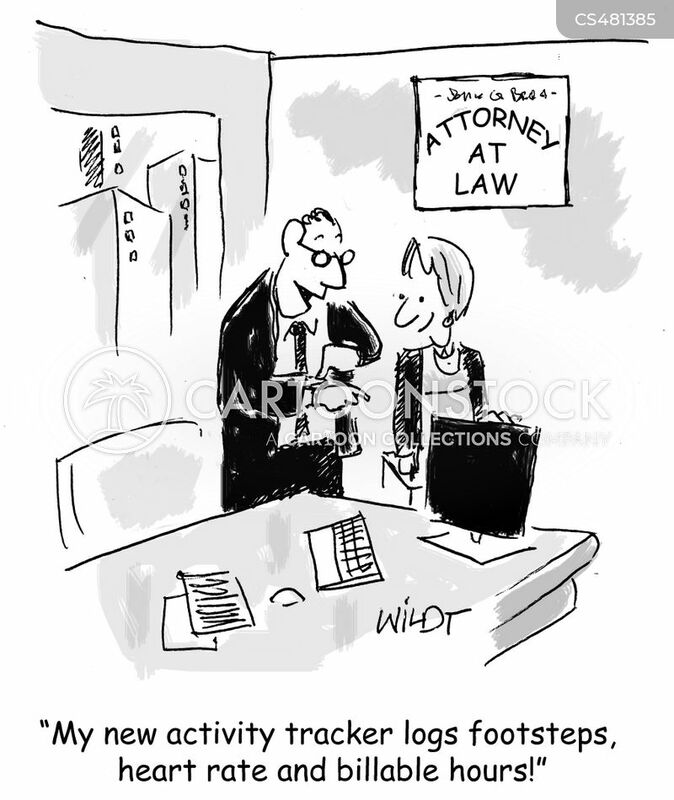 "My new activity tracker logs footsteps, heart rate and billable hours!" 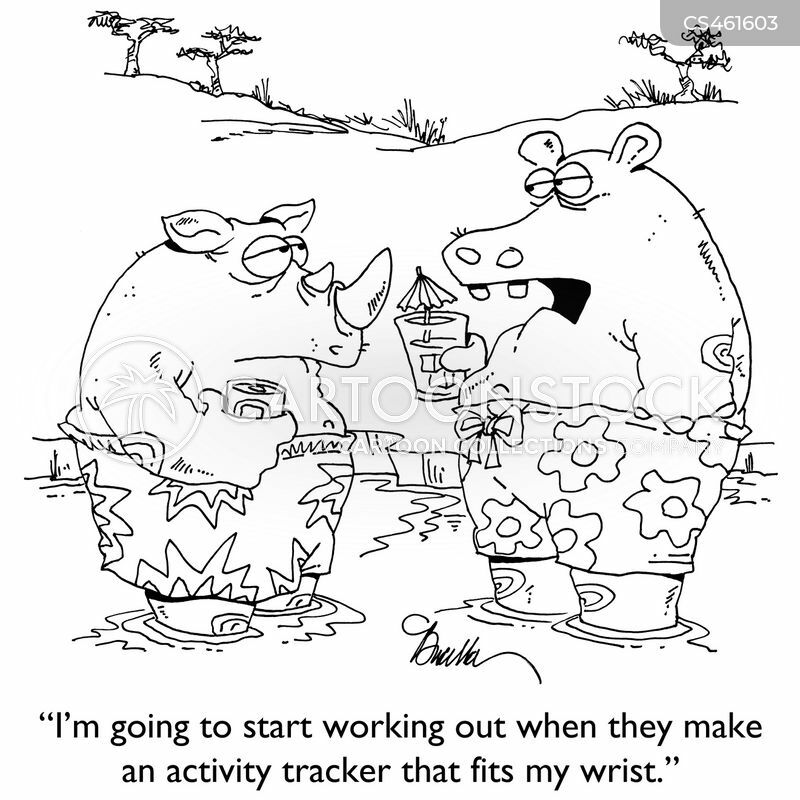 "I'm going to start working out when they make an activity tracker that fits my wrist." 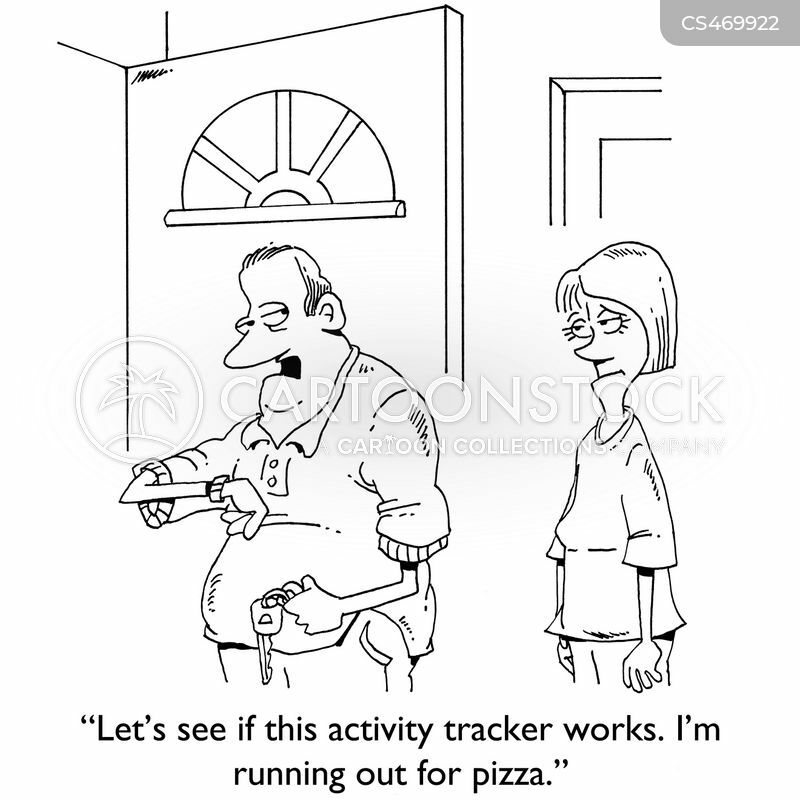 "Let's see if this activity tracker works. I'm running out for pizza." 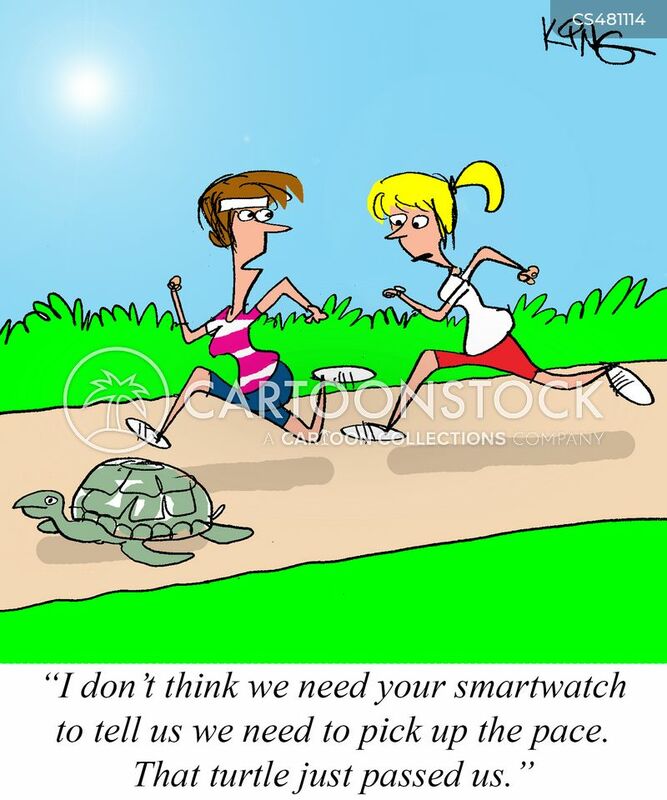 "I don't think we need your smartwatch to tell us we need to pick up the pace. That turtle just passed us."